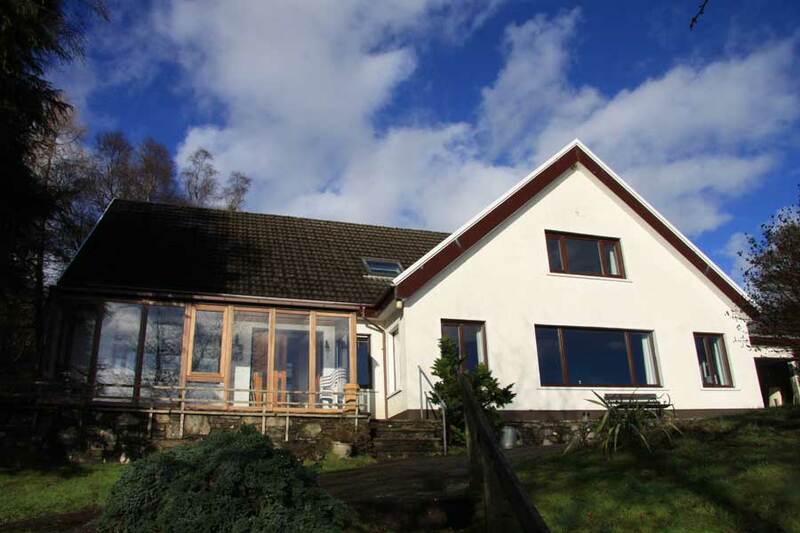 Allt Fearn is a spacious and comfortable 3 bedroom house set on a hillside with spectacular views over the beautiful Loch Sunart and the Morvern hills beyond. 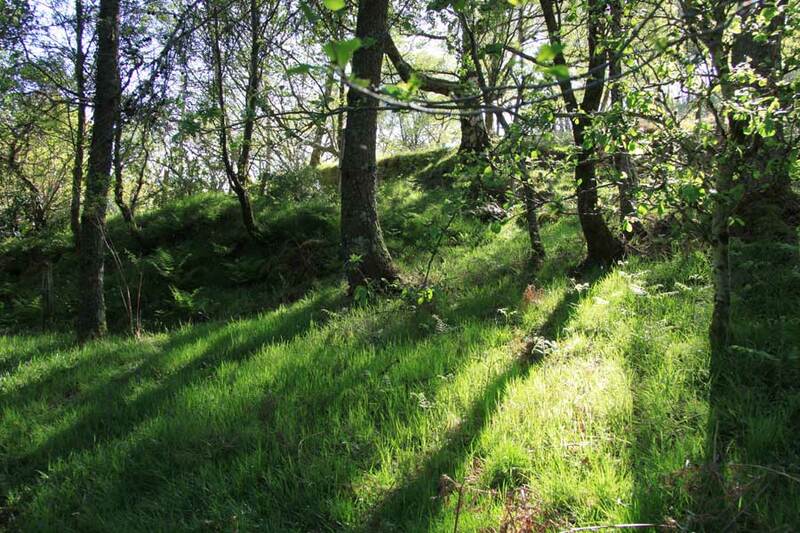 It is surrounded by 2 acres of enclosed garden and native oak woodland, with walks from the door exploring the hillside and the loch shore. 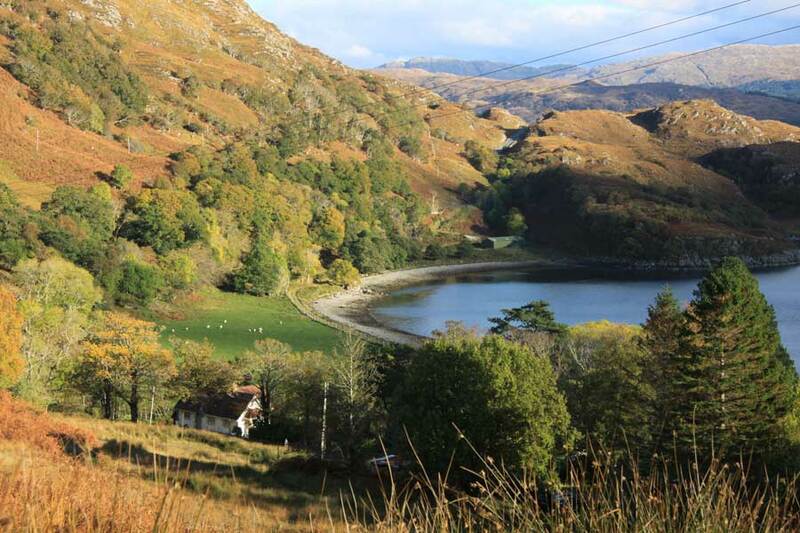 The abundant and varied wildlife, for which Ardnamurchan is renowned, can be viewed from the garden and many nearby locations. 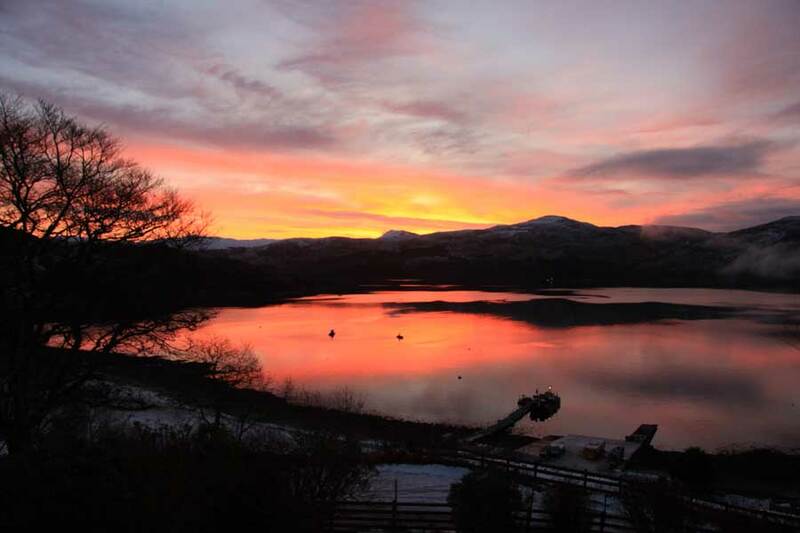 So whether you’re seeking an escape to a slower pace of life or action and adventure Allt Fearn is the perfect base to unwind and enjoy everything Ardnamurchan has to offer. 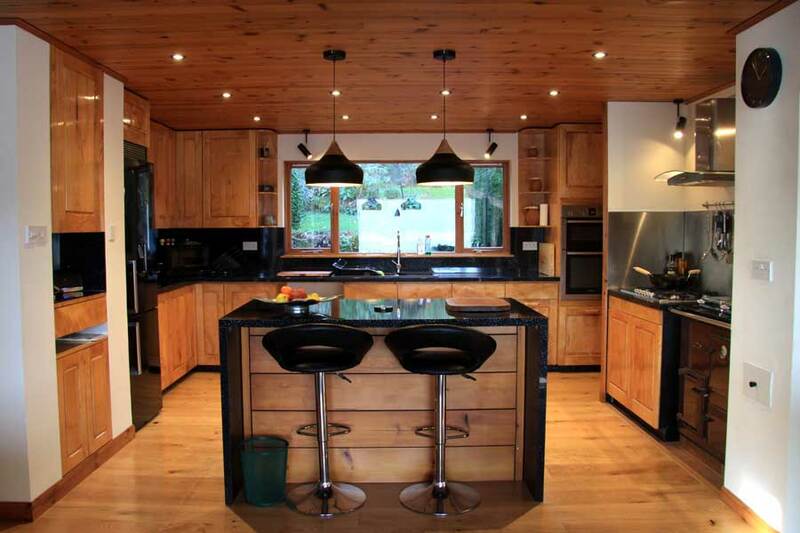 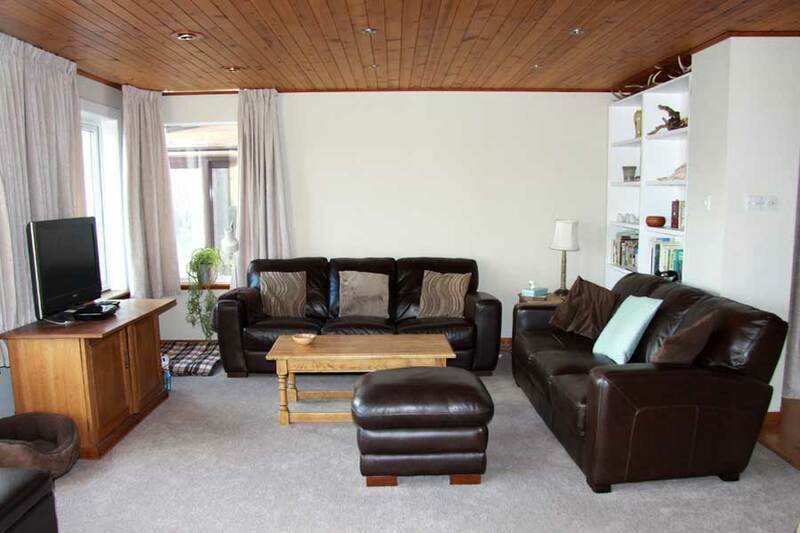 The large, centrally heated, open plan accommodation comprises a well equipped kitchen and dining area leading to a large lounge with walk around stone fire place and wood-burner. 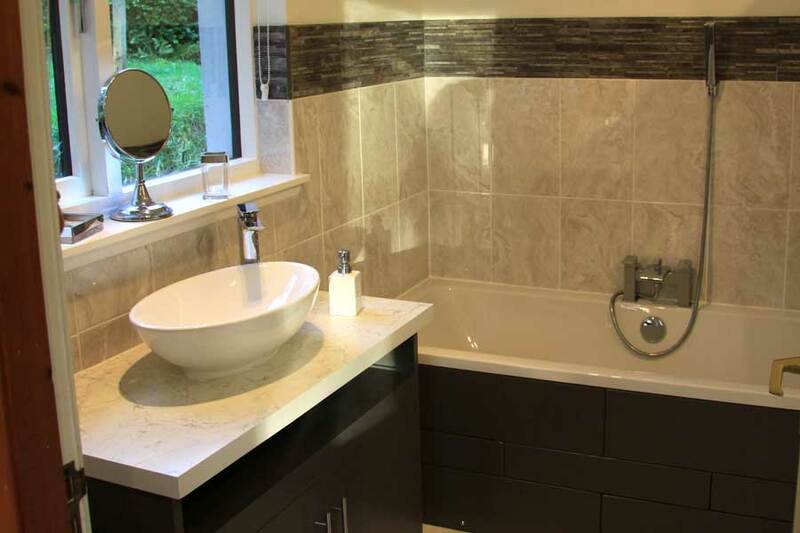 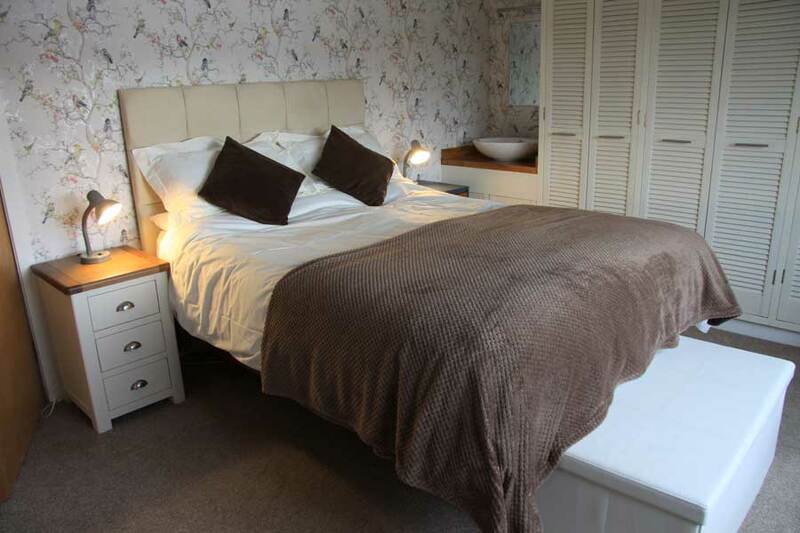 Three bedrooms (1 en-suite downstairs and 2 upstairs) sleep a maximum of 6 adults with 2 children and an infant. 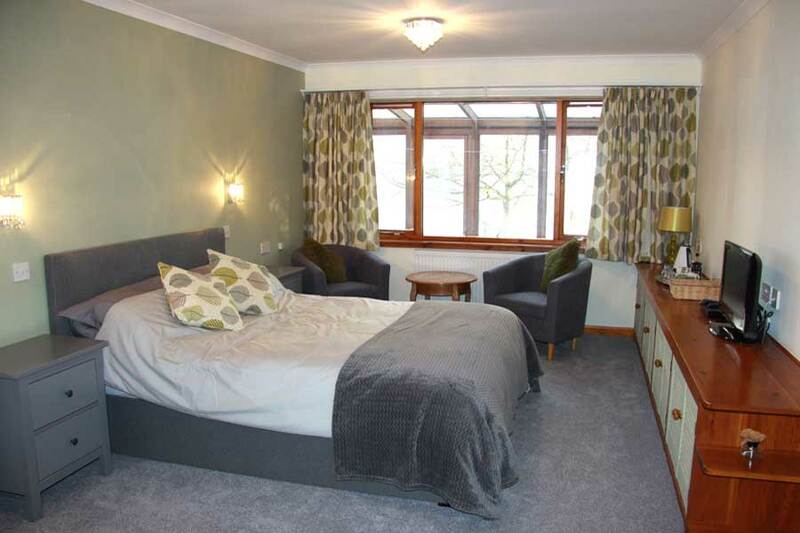 There is a Freesat TV, DVD player, a Playstation with games, speaker docking station, radio and free Wifi.